Desktop Applications are for convenient and smooth working of business modules and structures. The Bitscape’s Desktop Application keeps your data up-to-date and provides access to powerful website features such as group-based notification emails, custom item pages and much more. Along with all these features it also facilitates features such as Accounting exports and automatic backup of your settings. Software development starts with the development of Desktop Application, which can be use for standalone machines only. However, with the fast growing internet and online commerce, web applications development gained importance. Media players and word processors can be considered as typical desktop applications while online shopping care applications can be considered as a web application. As per the definition, desktop application means any software which can be installed on a single computer and used to perform some specific tasks. Some application of desktop can also be used by multiple users in a network environment. An application is a type of software which allows one to perform some specific tasks. Application which are designed for desktop or laptop computers are sometime called desktop application and those for mobile are called mobile applications. 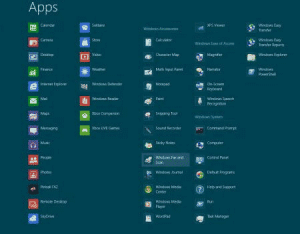 There are numerous desktop applications available, and they all fall into many different categories. 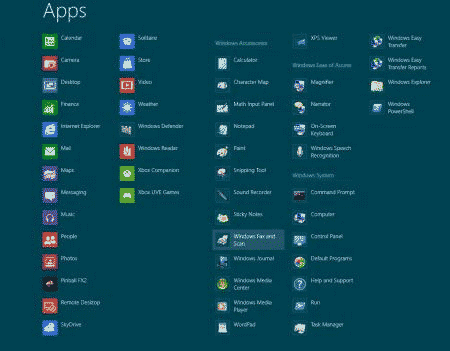 Such as, more full featured like Microsoft Word, while others may only do one or two things like gadgets. Word processor: a word processor allows you to write a letter, design a flyer and create many other types of documents. Microsoft – Word is most well-known word processor. Special Finance: personal or special finance software, like Quicken allows you to keep track of your income and expenses and create a budget, within other tasks. Many of the personal finance programs can automatically download information from your bank so one does not needs to manually type all the transactions. Web browsers: A web browser is the device which access the internet. Most computers come with a web browser pre-installed; however one can also download a different one as per the preference. Games: there are various games you can play on your computer. Such as card games Solitaire. Some action games require a lot of computing power so for that you may have a newer computer. Media Player: To watch movies and songs you have to download MP3s, all you need is media player. Windows media player and iTunes are popular. Gadgets: sometimes called as widgets, these are simple applications you can place on desktop. There are some types of gadgets like calendars, calculators, maps and news headlines. Desktop applications can convert a file with just one click. Using our service without need to open your browser or email client. With just one right click on any document; you can access the file conversation options for that document type. After choosing a file it will be converted and downloaded automatically to your computer in a moment. The file which is converted automatically will download into the same folder in which the original file is located, which is extremely convenient. Installation of application is very quick and easy. It is highly light weight and uses very little of system resources. The entire process is the fastest which actual process takes place online; the application itself will never slow down your computer. Uploading huge files through web browser can be an inconvenient sometime, which slows down browser and not allowing multi-task. It also simplifies the process and helps to avoid hassles by sending large files.